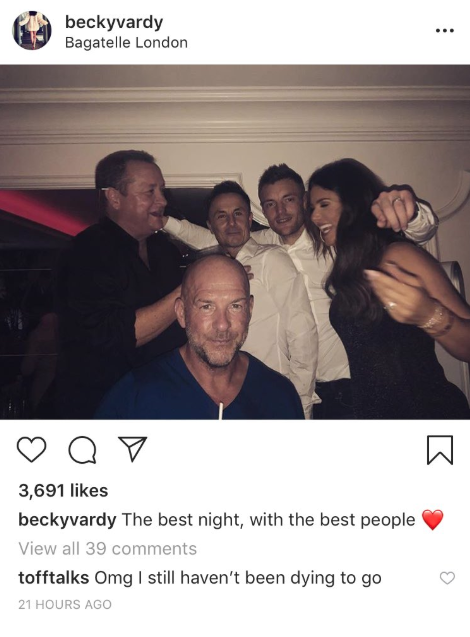 Mike Ashley spotted out with Premier League star, Dennis Wise & Alan Shearer lookalike – Bizarre.. – NUFC blog – Newcastle United blog – NUFC Fixtures, News and Forum. 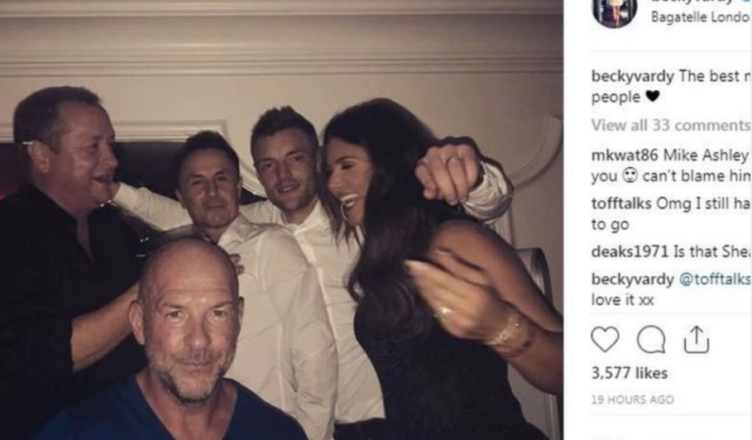 If I could make a list of things I didn’t expect to see today, a picture of Mike Ashley enjoying a night out with Jamie Vardy, Dennis Wise and what appears to be an Alan Shearer lookalike would’ve been up there! All four – along with Jamie’s wife – appear to have enjoyed a night out in London just yesterday, with them pictured below at ‘Bagatelle’ in Mayfair. “The best people”. Aye, I’m sure the grateful employees at Sports Direct would agree with that. Also ‘interesting’ to see Dennis Wise there – a man who Sky Sports seem to employ every now and then to give him some moral support and create the narrative that he’s actually the ‘pantomime villain’ who’s done nothing wrong. He claims he has little to do with Ashley these days, but they’re looking pretty chummy together in London last night. As for Jamie Vardy, Rebekah Vardy and what could be Alan Shearer’s dad, your guess is as good as mine! Rafa Benitez planning ambitious summer move for Roma star?